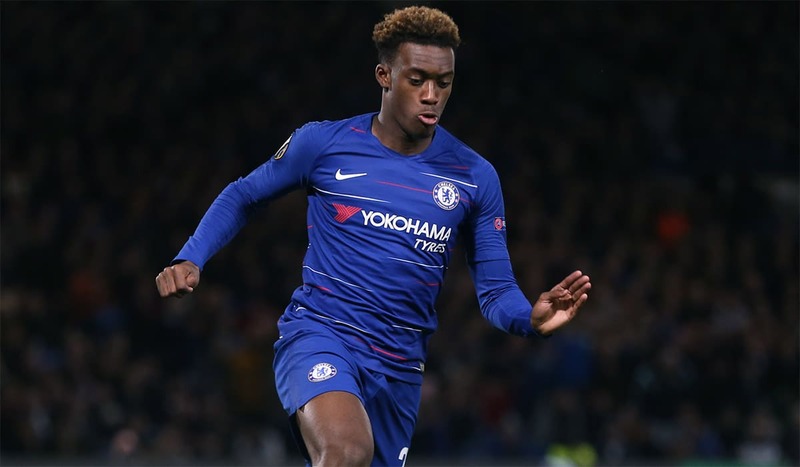 Liverpool have made a late attempt to convince wantaway Chelsea winger Callum Hudson-Odoi to snub Bayern Munich and move to Anfield, according to reports. The teenager is widely expected to leave Stamford Bridge this month after the German giants made four transfer bids, the last of which reached £35million, and even offered him Arjen Robben’s No.10 shirt. Although Chelsea want to keep the 18-year-old, there is an acceptance that they may need to cash in given that his contract expires in 2020 – though they will try to insert a buy-back clause. Now German newspaper SportBild claim Bayern face late competition from Liverpool for Hudson-Odoi, though the west Londoners would be even more reluctant to sell to a Premier League rival. Liverpool’s representatives reportedly met with Hudson-Odoi and his brother Bradley, who is also his agent, at the start of January. Chelsea have tabled a contract worth £70,000-a-week to Hudson-Odoi, though he has made it clear that his priority is first-team opportunities, not money. He has only made three Premier League appearances under Maurizio Sarri this season, and is yet to start, and is not convinced his development is best served at Stamford Bridge.